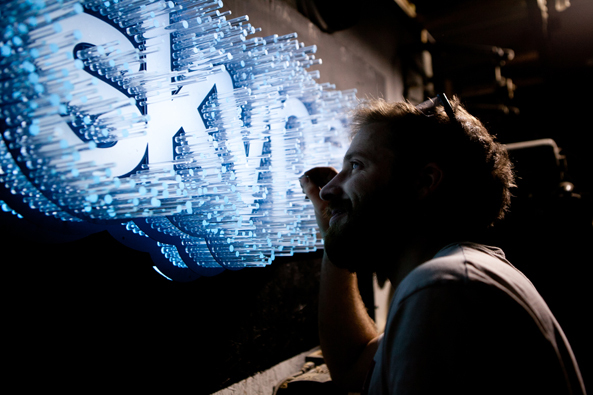 Illuminated sign for Skype’s iPhone app advert, designed and made in only seven days and filmed onsite at our studio. 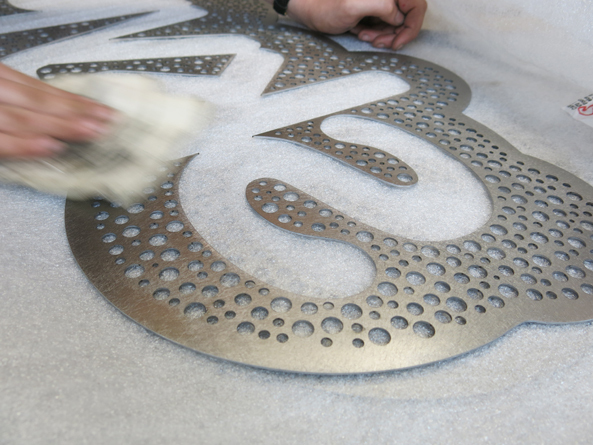 Working to a tight deadline, Jailmake designed the initial concept for this interactive sign, which was then developed by Kate Moross and returned for fabrication. 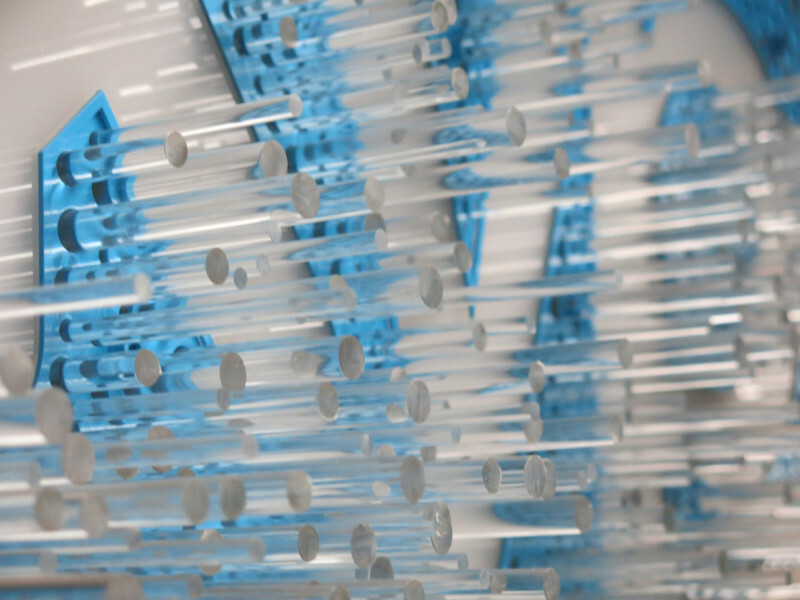 The interactive audiovisual element involves graphics reacting to sound, changing in size and frequency depending on the intensity and pitch. 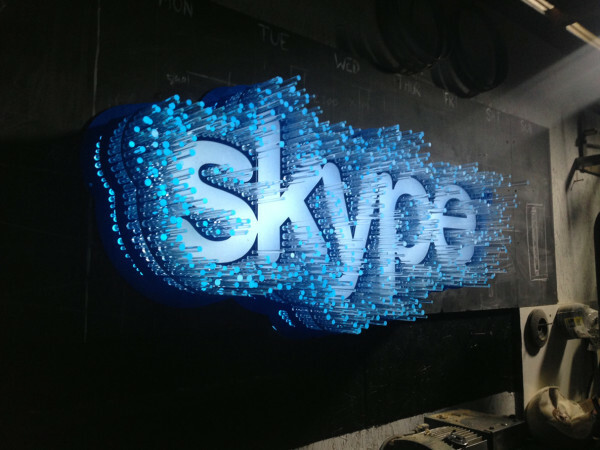 After filming, the sign was repurposed for the Skype London headquarters.